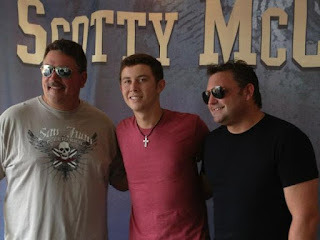 Before he became one of America’s most loved singers, thanks to ‘American Idol,’ Scotty McCreery was learning about life and what path to pursue from his biggest fan and supporter, his dad. McCreery credits his father for many things that has helped shape the young man he is today. But above all, he says his dad was the one who inspired him to follow his heart into music. The phrase “father knows best” paid off big time in this situation. 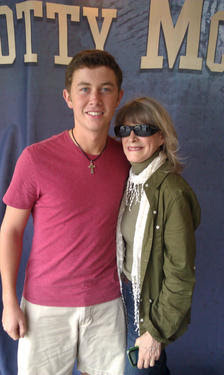 McCreery, who will attend college in the fall, is currently in the studio beginning to lay the groundwork for his sophomore album that will follow his first release, ‘Clear as Day.’ McCreery’s latest single from that album, ‘Water Tower Town,’ is at radio now. Scotty McCreery is an exercise in contrasts. On one hand, he is a country music megastar, having racked up platinum sales, toured the world and performed on both breakfast and late night TV programs with increasing frequency. On the other, he just graduated high school and is preparing for college. McCreery will begin his freshman year at North Carolina State University in the fall. But he’s not wasting any time and is diving right in. He’s already started decorating his new house, which is located just a few miles from the school’s main campus. “We’ve got a few signs, and my buddy’s got a big deer head we’re going to put in the living room,” McCreery said, according to Country Music Is Love, about making the new place feel like home. The décor isn’t going to consist of any of McCreery’s awards, like his recently picked up 2012 CMT Music Awards honor for ‘Breakthrough Video of the Year,’ which he nabbed for ‘The Trouble With Girls.’ He admitted, “I don’t think we’re going to put any of my awards in there. We’re trying to keep things safe.” That’s a wise idea. Don’t need any mishaps during parties or thefts while he is in class. In order to balance school and work, he will build a two or three day class schedule and route his touring so that he can be on campus on the required days and then fly out for shows on his “off” days. Few people can pick up an education at the school of life and on the road and in the classroom, but McCreery has a one in a million chance to do so and he’s going for it. He’s a regular ol’ college freshman by day and a country star by night! We’re not going to lie. 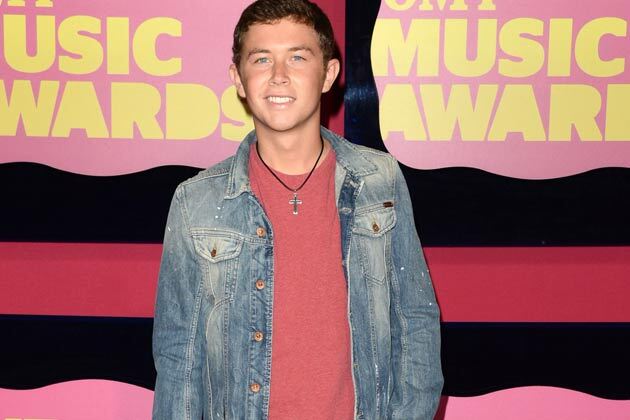 The schedule sounds grueling but if anyone can pull it off, it’s our boy Scotty McCreery. 5. But the cameras most definitely will be here. Shooting begins the minute the line starts forming, and the lines on Sunday and Tuesday mornings will be big. “Not only will (a crowd shot) be on the show, it’ll probably be one of the first shots that you’ll see when the Charlotte episode airs,” Robinson says. Host Ryan Seacrest and Season 10 winner Scotty McCreery of Garner will be on hand Tuesday morning, with snippets of their appearances all but guaranteed to air. I only posted the portion about Scotty you can follow the link below to read the full article. 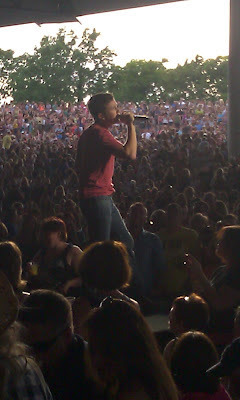 Have a question for Scotty McCreery? Have questions for @ScottyMcCreery? I'm hanging with him this weekend, so ask me and I'll ask him. Answers on @CMT.com on Monday. 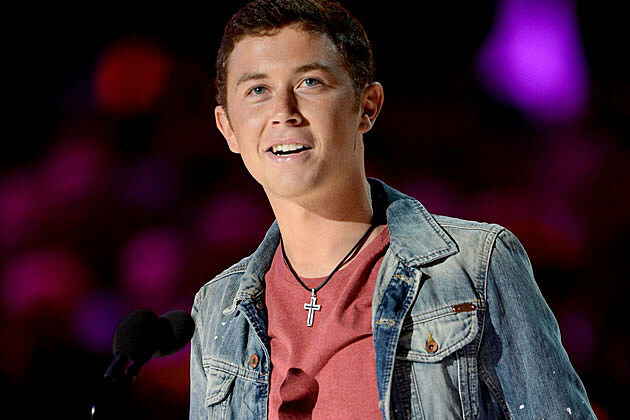 Season 10 “American Idol” Scotty McCreery will throw out the first pitch at the Lookouts baseball game at AT&T Field on Friday, June 22, at 7:15 p.m.
Pete Intza, Lookouts spokesman, confirmed McCreery’s appearance and first-pitch honors. The country singer’s visit is one of the promotions during Paint the Park Purple, a benefit for the Mid-South chapter of the Alzheimer’s Association during the Lookouts vs. Pensacola Blue Wahoos game. McCreery should have no trouble getting the ball across home plate. A pitcher on his Garner High School baseball team, he loves the game so much he gave up touring with Brad Paisley this past spring semester to return to school to play ball his senior year. Beth Cragon, office and volunteer coordinator for the Alzheimer’s Association, said Paint the Park Purple will be an awareness event for the local chapter. “The Lookouts will be wearing purple jerseys that will be sold in a silent auction during the game,” she said. Cragon said fans attending the game are asked to wear purple as well. “If fans buy game tickets through the Alzheimer’s Association, they will be the same price but part of the proceeds will be donated to the association,” said Cragon.